As we look forward to times with our family and friends, I'd like to share news about a few key things happening with our real estate market. 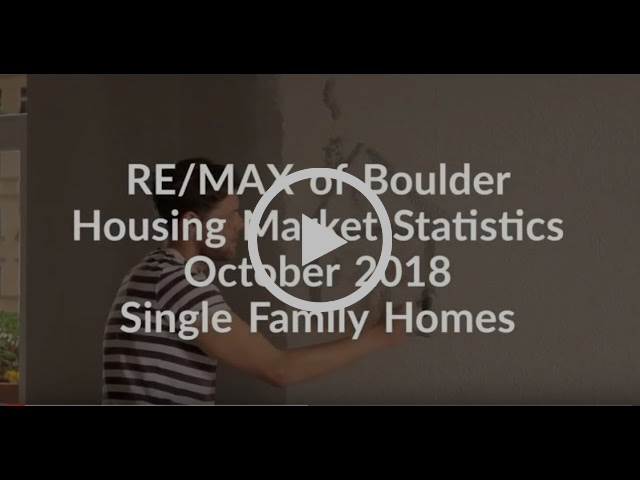 The articles this month discuss the complex situation in Boulder County with home prices going up, and the impact that has on our cities. This relates to the rental market here as well, and how the new construction in town has had an impact. Thank you so much for your continued business, and for all of your referrals. With warmth and gratitude I wish all of you a Happy Thanksgiving! Is the Market Cooling Down this Fall? We’re experiencing some market turbulence as we complete the fourth quarter of 2018. End of year sales numbers show prices are up but number of homes sold is down. Buyers are informed and cautious, willing to buy but only what they feel is the best value. Questions to ponder as we end the year are - What will 2019 show us; a market that is cooling or a new year rebound? And what impact will further increases in the borrowing rate create in our local market? Stay tuned to find out. View the October Stats here. A recent article from Yahoo Finance points out, "Home prices are ballooning in Boulder, Colorado, and the issues facing the idyllic city at the foot of the Rockies could serve as a warning to the rest of the country." As we talked about in last month's Buzz, the average home costs over $1Million. "It’s almost impossible to find anything attached or detached for under $600,000 now. About 52% of our community rents, and of our renter population a majority of them are paying more than 50% of their income on housing." City council members are calling this a "housing crisis". The regulations and zoning rules "limit the number of units on a property and the number of unrelated people that can live together." In fact, "we have some of the strictest rules in the entire country." While it's great that the market is going up, it's making it less affordable for many people. Boulder exemplifies the potential risk of this issue well, and the path to solution is still unclear. The rental market "throughout Boulder County has finally begun to level out thanks to a large influx of newly constructed housing." How long will it last? Hopefully for a few years. As this article states, "we're building at a controlled pace where we'll be able to maintain our demand." The average rent of a 1 bedroom apartment in Boulder is $1500/month, which is a normal price for a for a major city, and "the slowing in the run-up of rent increases locally mirrors a national trend." For those of you who own rental properties, this means the rest of the year prices will probably stay about the same, and possibly pick up again in the Spring and Summer next year. These centerpiece suggestions from Elle Decor are inspiring! Take a few ideas from here and you're sure to impress your guests. The combinations of flowers and candles and gourds bring a modern yet OldeWorld look to the table, where you won't feel like you need to compromise style for holiday decor.